OctaFX would like to congratulate all traders and clients who celebrate Waisak Day. We believe that such a joyful holiday will bring light into your daily routine! OctaFX team wishes happy Tri Suci Waisak! 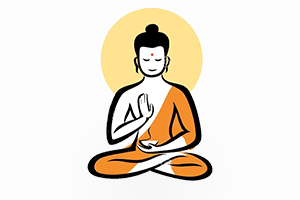 Our warm congratulations on Three Holy Events – birth of Siddhartha Gautama, acceptance of the divine revelation under the Bodhi tree, and the journey of Siddhartha Gautama to heaven. We would like to pay tribute to this holiday, and thereby express gratitude for maintaining the earth and its resources in harmony. We would like to remind that during this day people care about others, especially those in need. Be in harmony with yourself and with the nature, stay close with your family and friends. We would like to encourage you to visit grandparents and aged people, ill relatives and friends, and those, who needs you the most. Let this holiday enlighten you! OctaFX wants to lit the candle and once again wish Hari Waisak! Get inspired by success stories of Round 38 OctaFX Champion demo contest winners! We can’t wait to share the experience of our OctaFX Champion demo contest winners with you. The stories are diverse and packed with some good pieces of advice that might be useful especially for newbie traders. We continue to give away prizes to cTrader Weekly demo contest winners. This week 650 participants were competing in the Round 18 to win the real money prize to their cTrader accounts. But only 5 winners accomplished it! These traders proved they know how to trade!